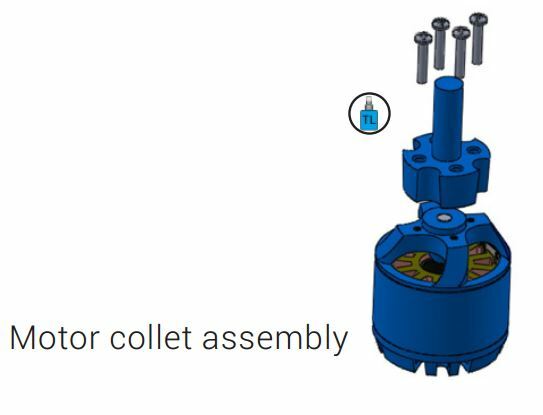 Most motors first require you to mount a prop adaptor to the motor first. Its a good idea to use some threadlocker for this to avoid ti coming off. 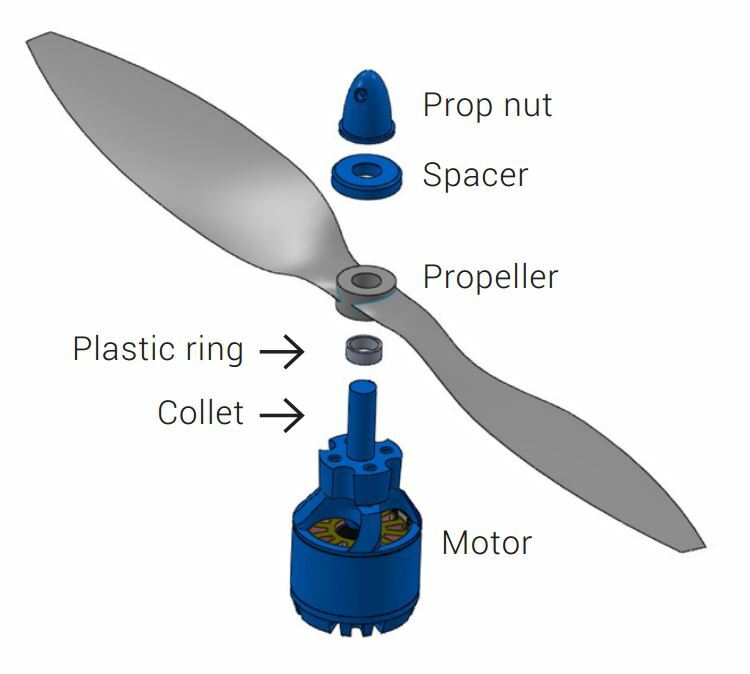 To properly connect your propeller to your motors you must first find a suitably sized plastic ring adaptor for the prop, this should be included with your propeller. Make sure that its a stick fir with the shaft. If it is loose it will cause unnecessary vibrations. The spacer is attached on top of the propeller with the prop nut on the top. 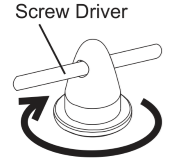 You will then need to use a screw driver/allen key (or something small enough to fit through the hole of the nut) to tighten the top nut. Make sure it is very tight and that the prop is pushed all the way to the bottom of the shaft.